Throughout your visit at Elephant Jungle Sanctuary, you will be feeding, bathing and even playing with the elephants. It is also important to us that you learn as much as possible about these beautiful creatures and why it is important to protect them. After 1:15 hour ride in the car/songthaew with the last 10 mins down a dirt road you arrive at the sanctuary run by the Karen people (local tribe of the area). You spend the day learning about the history of native elephants in the area the initial banana and sugar cane feed to the elephants from the viewing platform. A sumptuous and varied buffet lunch follows. 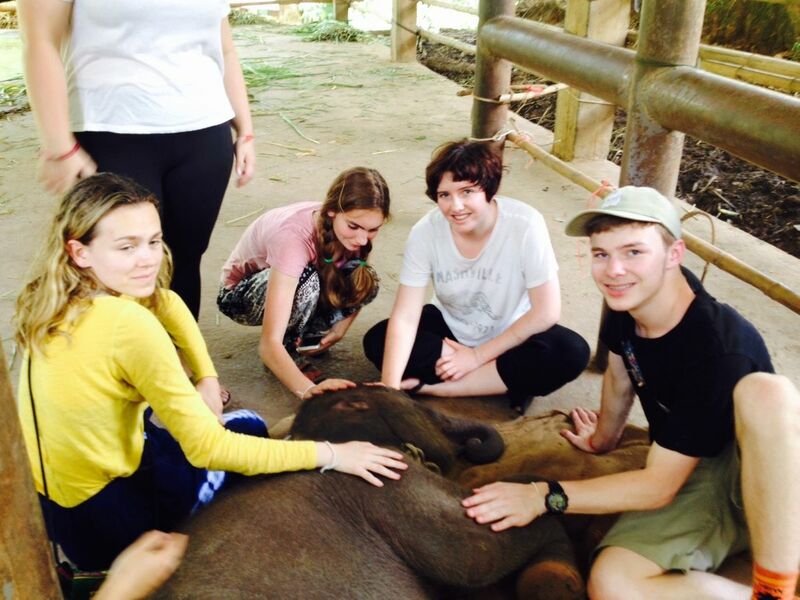 After lunch, take a walk with the staff to a nearby river and learn how to safely and properly bathe an elephant. It’s up to you if you want to plunge into the water to scrub their backs as they splash around. Return to your hotel in Chiang Mai, and this is where the trip ends! Thank you for joining me!